London - English Premier League clubs posted a pre-tax profit last season for the first time in 15 years, according to a report released by business advisory firm Deloitte on Thursday. The 20 teams in the English top flight in 2013-14 generated a combined profit of £190 million - the first profit since 1999 and almost four times greater than the previous record of £49 million set in 1997-98. Clubs had accumulated £2.6 billion in pre-tax losses over the last decade, but a new television rights package worth around £5.5 billion that took effect in 2013 helped them balance the books. "Last season was the first in the Premier League's current three-year broadcast deal, which was a record-breaker when it was struck," said Dan Jones from Deloitte's Sports Business Group. "Combined with strong commercial growth at the highest revenue-generating clubs, this has boosted Premier League revenue 29 percent to a record £3.3 billion." Despite the huge rise in revenue, clubs have exercised a deal of restraint in their spending on player wages, which grew by six percent to £1.9 billion. "In the first year of the preceding two broadcast deals, 56 percent and 81 percent of respective revenue growth was absorbed by wage costs," Jones added. "This time it is less than 20 percent. Over the previous 10 seasons wages grew by around nine percent per year, which is higher than the average annual revenue growth of seven percent over that period, demonstrating further what a remarkable turnaround the 2013-14 figures represent." 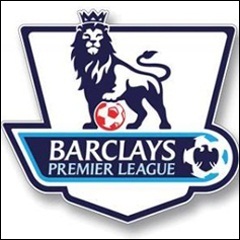 In Deloitte's Football Money League for the 2013-14 season, published in January, eight Premier League clubs were ranked among the top 20 richest clubs in the world, with all 20 making it into the top 40. Premier League clubs have spent a record £950 million on new players during the 2014-15 season. "The current broadcast deal has given Premier League clubs such a large revenue advantage over the vast majority of European clubs that they can still attract the top playing talent without over-stretching themselves financially," explained Deloitte's Adam Bull. The wealth of the English top flight shows no sign of diminishing, after a record-breaking £5.1 billion domestic TV rights deal for the period 2016-2019 was announced last month. But it comes at a time when Premier League clubs are struggling in European competitions. There are no Premier League teams in the Champions League quarter-finals for the second time in three seasons and no English representatives in the last eight of any European tournament for the first time since 1993.